Everyone knows that finding gifts for men can be tough......especially if they already own just about everything. Whether you're picking out a Christmas gift, birthday present or you simply need something to say thank you, it's important to find the "perfect gift idea." Plus it's a great feeling when you pick out a gift you know someone will love, instead of just buying something you're not excited about. To make things easy we've compiled a list of some of the top gifts for men or women who love the outdoors. If you heat your entire house with firewood, enjoy the occasional campfire, or just have some spring cleanup to do in your yard, these gift ideas are sure to be a big hit. Plus, we've included a small review with each product to help you decided whether or not it's right for you. Ready? Great, let's get started! 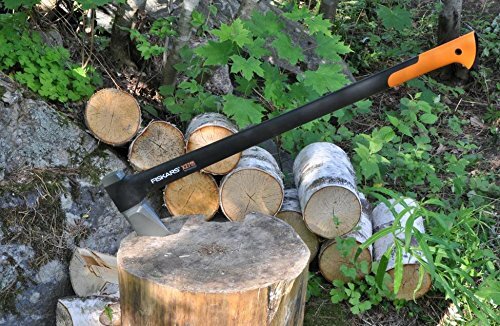 The 36 inch Fiskars X27 Super Splitting Axe is widely known as the best axe for splitting firewood. Weighing only 6.3 pounds this lightweight axe is simply amazing. Swinging a heavy maul is virtually a thing of the past. The X series axe features advanced blade construction with an ultra-sharp edge, perfect balance and a FiberComp handle with an inseparable PermaHead design that makes this axe nearly unbreakable. So what does all this mean? The Fiskars X27 axe produces more power, delivering one strike splits without wearing you out. The axes comes with a sheath to help protect the user and the blade, and it's available in shorter lengths for smaller users. If you're looking for the best of the best, the Fiskars X27 Super Splitting Axe is a great choice. If you're looking for an inexpensive gift that everyone can enjoy, the Fiskars Axe and Knife Sharpener is a great choice. Whether you need to sharpen an axe, hatchet, or your kitchen knives, this sharpener works great. Anyone who's spent countless hours using a sharpening stone to put a sharp edge on a knife understands it can be a daunting task. 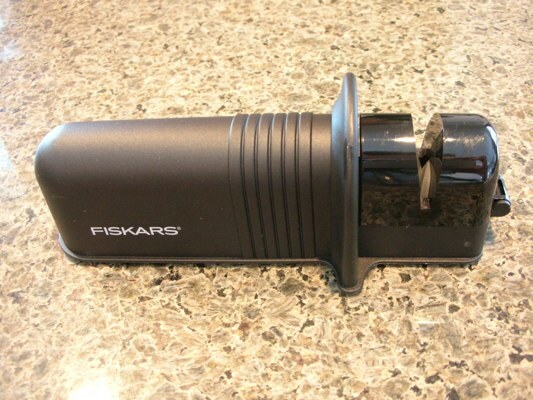 The Fiskars sharpener takes the guess work out of the sharpening process. The ceramic roller puts a precise 30 degree angle on your axe or knives by simply rolling them through the sharpener a few times. To use it, just insert the blade into the slot and roll it back and forth a few times. The protective guard keeps your fingers safe and in just a few minutes you have an extremely sharp edge. Carrying firewood is time consuming, labor intensive and messy. Carrying split firewood over long distances is tough because you can only hold a few pieces at a time. Plus, if you bring in an armload of wood to build a fire or feed your wood stove, you're bound to leave a trail of bark and dirt throughout your house. A log tote allows you to carry multiple pieces of wood in a single trip and the mess is contained inside the tote....not on your floors. A good canvas tote with reinforced handles will last for several years. 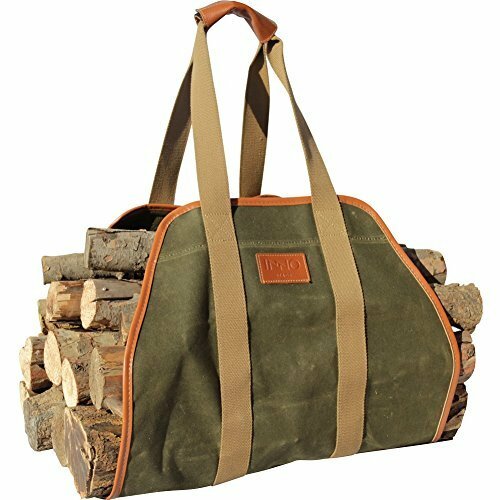 Ranging from about $10 - $40 a canvas log tote is a great gift idea that doesn't cost a lot of money. 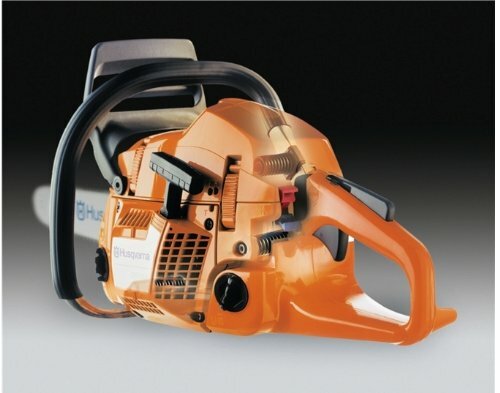 An electric chainsaw sharpener takes the guess work out of sharpening a chainsaw chain allowing you to obtain a razor sharp chain in just a few minutes. Sharpening your chain from home gives you several advantages. First, there's no need to run all the way into town to get your chain sharpened. Simply remove the chain from your saw, touch it up with the sharpener and your back cutting again in no time. Plus, having a hardware store continually sharpen your chain can be expensive. Why pay someone to sharpen your chainsaw chains when you could invest the money in a good, high quality sharpener of your own? The Oregon bench grinder/sharpener is an accurate, reliable sharpener that sharpens chainsaw chains like they just came from the factory. 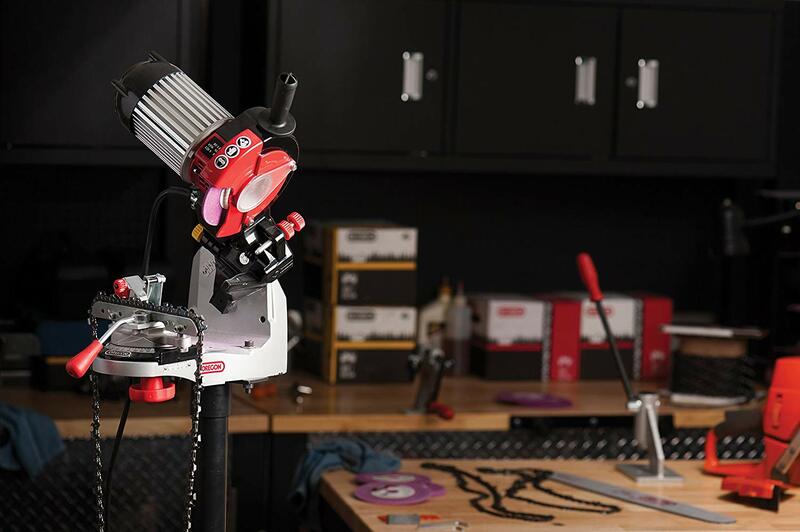 Relatively affordable and easy to use, a bench grinder takes all the guess work out of filing a chain. No more uneven angles from hand sharpening your chain. The Oregon bench grinder gives you precise angles for a razor sharp chain every time. Chimineas are quickly becoming a popular focal point at outdoor activities for rural and urban homes. 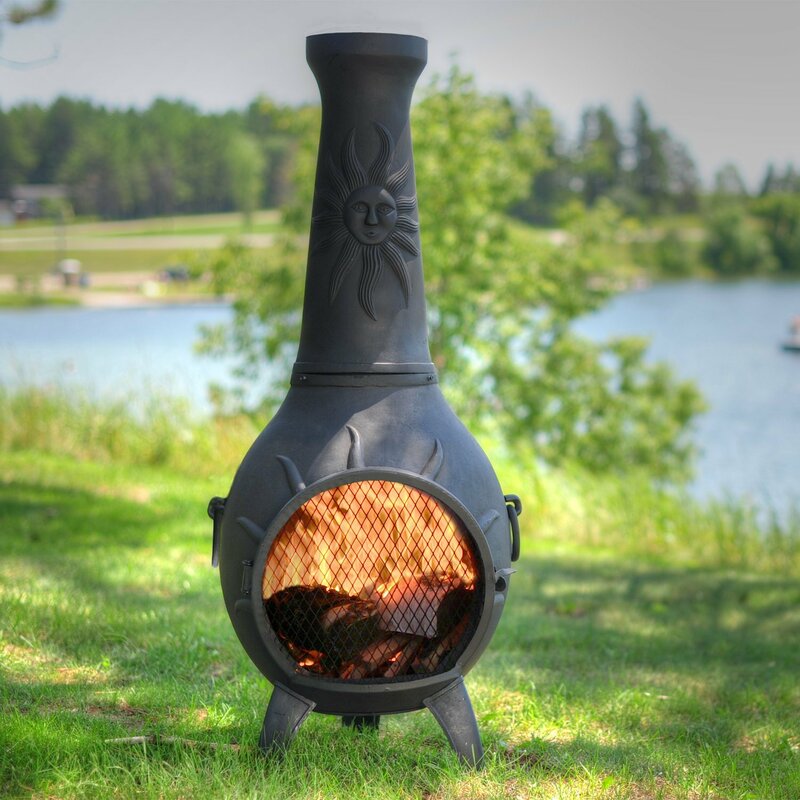 Basically a portable fireplace, chimineas are constructed from clay, aluminum or steel. While each have their specific advantages, a cast aluminum chiminea is a great choice. Although they may cost a little bit more they're worth the extra money. Cast aluminum is durable, lightweight and won't rust. Since your chiminea will be used outdoors and exposed to the elements, you want a well manufactured chiminea that's going to last. The Blue Rooster company is one of the leading manufactures in chiminea construction. Not only does the company produce high quality chimineas, they also have a variety of beautiful designs that are sure to grab the attention of your backyard guests. Whether you cut firewood on a daily basis or you just need to use one every now and then, a Husqvarna chainsaw is a great gift choice for any occasion. With a variety of different models and sizes to choose from it's easy to find a saw that fits your needs. Featuring a 20 inch bar and and 50-1/2 cc 2 stroke gas-powered engine, the Husqvarna 455 Rancher is a great saw. Ideal for landowners and part time use, the 455 Rancher delivers power and reliability. A chainsaw is an investment that will last many years. Speaking from experience, I recommend spending a few more dollars and buying a name brand saw like Husqvarna. The quality and craftsmanship of a Husqvarna saw makes it a serious consideration for anyone looking to buy a new chainsaw. Known for their quality and innovation, Masterbuilt makes a great smoker for both experienced and entry level smoking. 4 smoking racks allows plenty of room for turkey, sausage, vegetables, ham, fish or what ever you're in the mood for. Although it's not the traditional style smoker, the electric model gives you all the flavor of a conventional smoker without all the work. The electric components and digital controls allow you to keep a constant and accurate temperature inside the smoker. This allows you to spend more time flavoring your food or just relaxing instead of constantly adjusting the heat source. 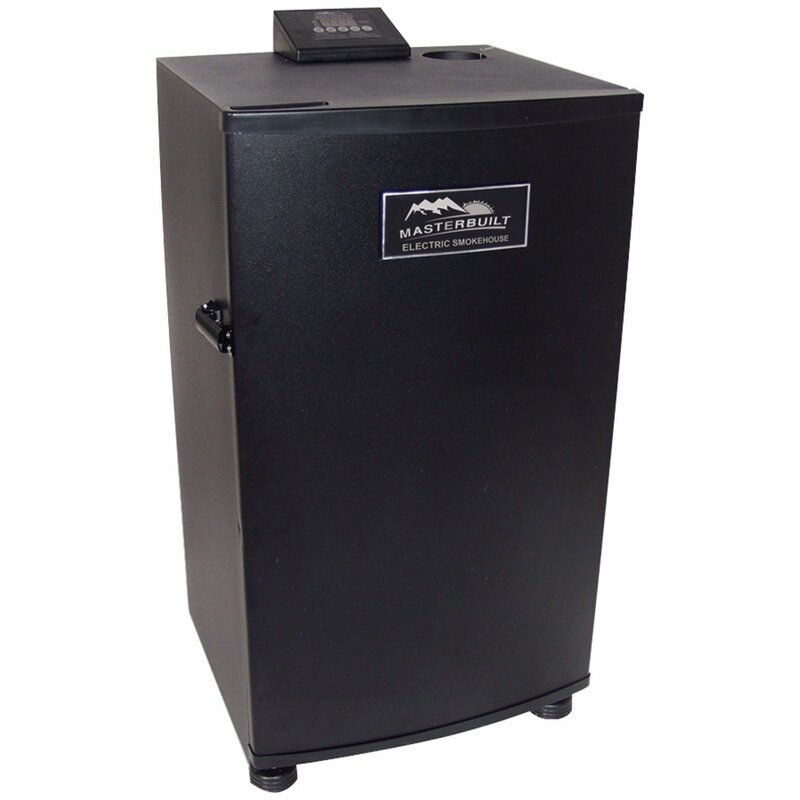 The Masterbuilt 30-inch electric digital smoker is a great gift idea for anyone who enjoys eating smoked foods. Their convenient electric model eliminates the need for propane or charcoal, and the side loading wood chip tray and removable drip pan make it ideal for all experience levels. Finding gifts for men can seem tedious at times, especially if the person you're shopping for seems to have just about everything. These gift ideas are great for any occasion and that special person in your life is going to be thrilled!